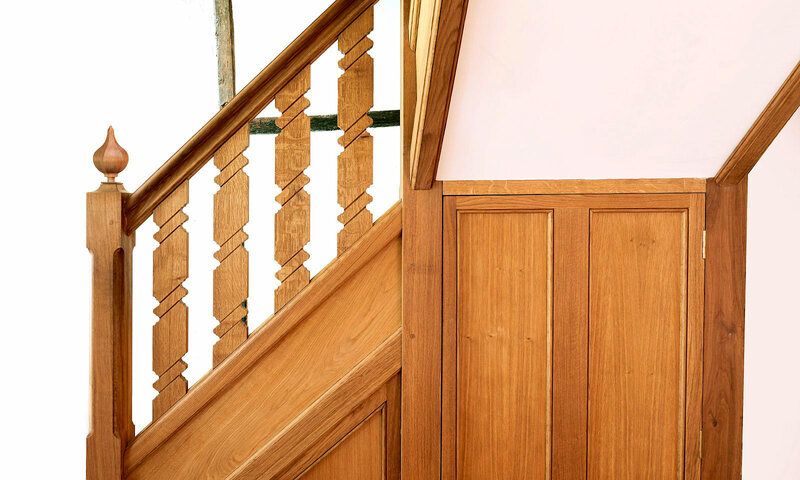 This staircase had to be sympathetic to the Grade II listed house it was being built for. 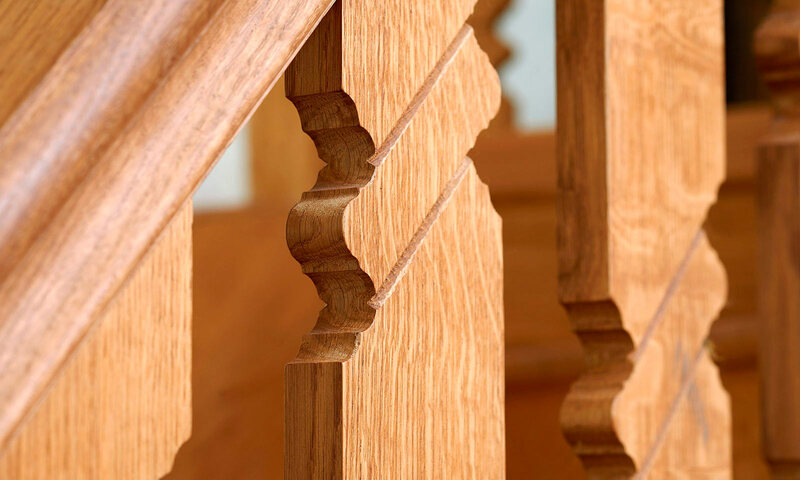 It would have been easy to design something quite simple with stop chamfered spindles, but profiled palisades were more in keeping with age and style of the property. 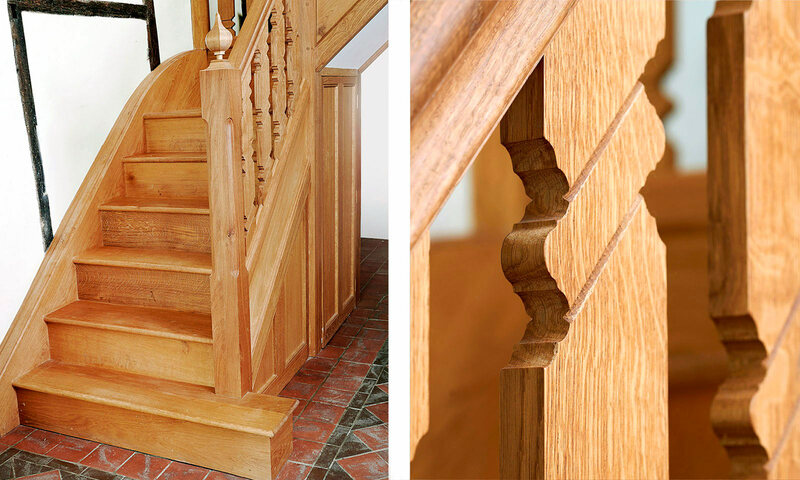 The staircase has an oiled finish, and was manufactured in European oak. 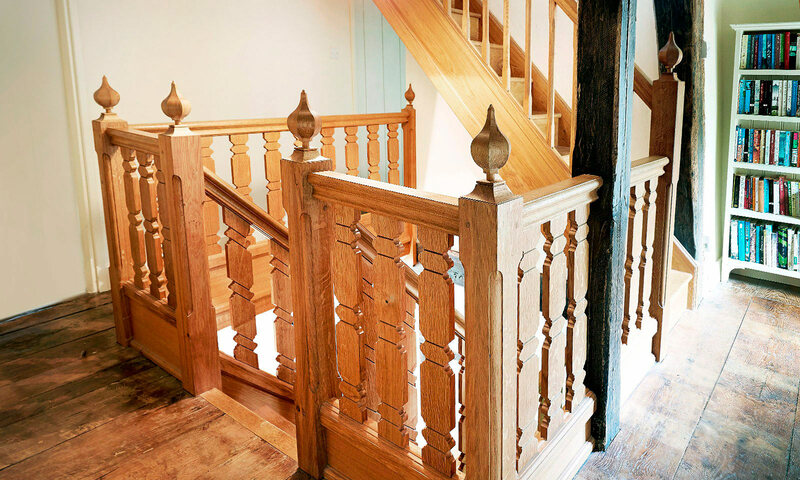 The design was complicated due to the layout of the rooms. 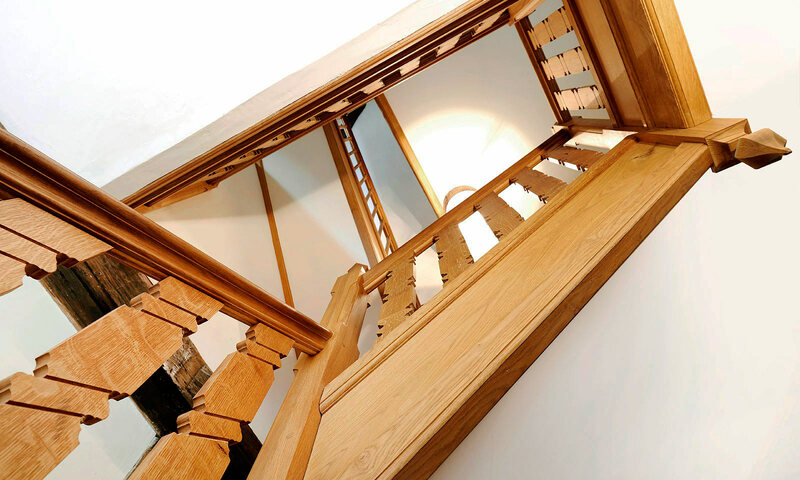 We replaced two staircases – the ground to first floor and a smaller first to second floor in a similar but less ornate style.